More than a foot of snow snuck in the first part of this week, in the form of several small batches, so when Wednesday’s already grim Winter Storm Warning included the words “locally higher totals possible” it was a good bet Fish in a Barrel Pond would get its fair share. While The Weather Channel had St. Louis and Chicago in a tizzy over “Ricky” or whatever name they gave the latest mid-west storm, an unnamed cell dumped close to a foot and a half of heavy wet snow in this neck of the woods. Just a few miles away there is next to no sign of this storm so there’s really no point in giving it a name, although you can bet a few people are calling it something. It was kind of pretty, though, as dusk fell and the night turned blue. Yesterday morning, all was silence. It was another nice day to live in Vermont. But all that loveliness weighs heavy on old buildings and it wasn’t long before the Agency of Agriculture issued an advisory regarding the potential collapse of roofs under all that wet snow, especially the roofs of old, unheated buildings like the camps at Fish in a Barrel Pond. Here, and all over New England, the time-honored tool for pulling snow off roofs is the roof rake. Wet clumps of snow thudded down as I hacked at the drifts, not just to lessen the load but to at least even it out, and after twice around the building on snow shoes I still sank above my knees when I kicked them off. 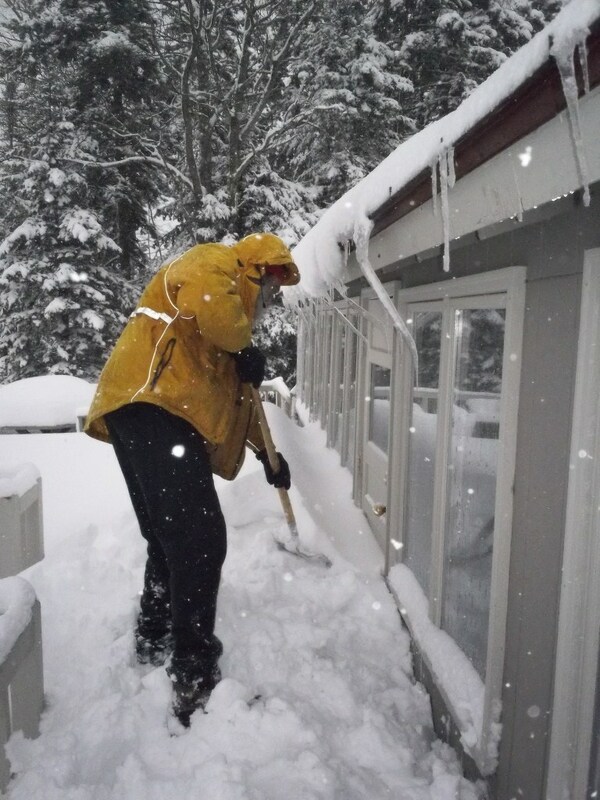 Rough shingles hold snow more than smooth metal which sheds its loads more easily. 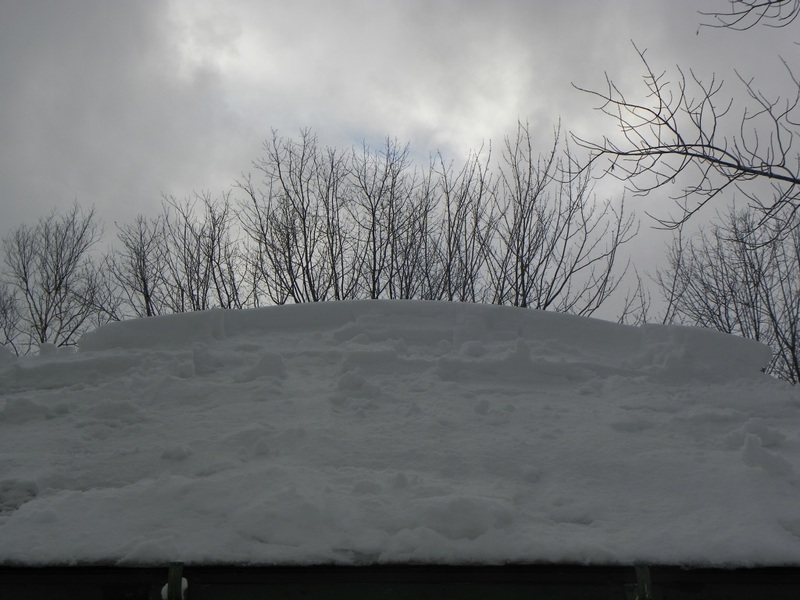 Whether I pull it down or it comes down on its own the snow piles up, sometimes in inconvenient places. The coldest part of the year is over and winter is on its way out. It may not be quite done with us just yet but the tide has turned and daytime temperatures have been at or just above freezing. 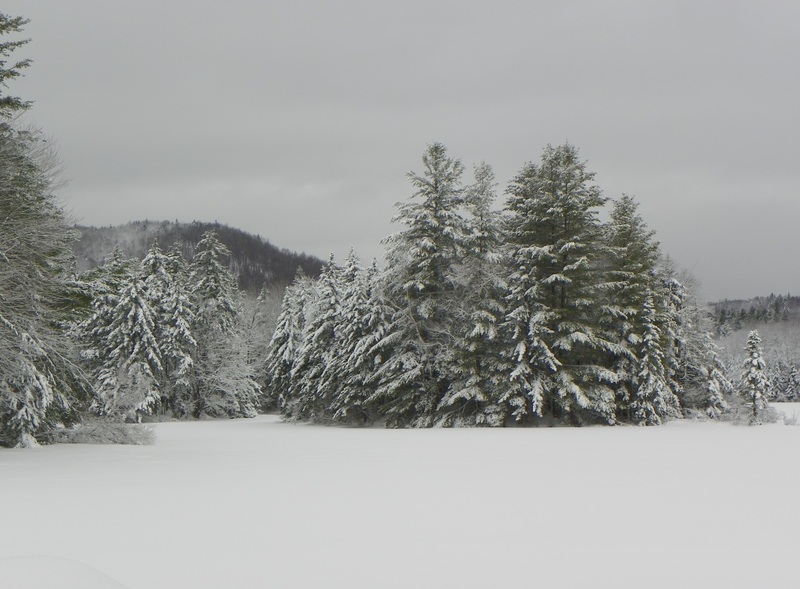 A few more degrees during the days (along with sharply colder temperatures at night) and the sap will really start flowing, but for now the new snow is a mixed blessing. 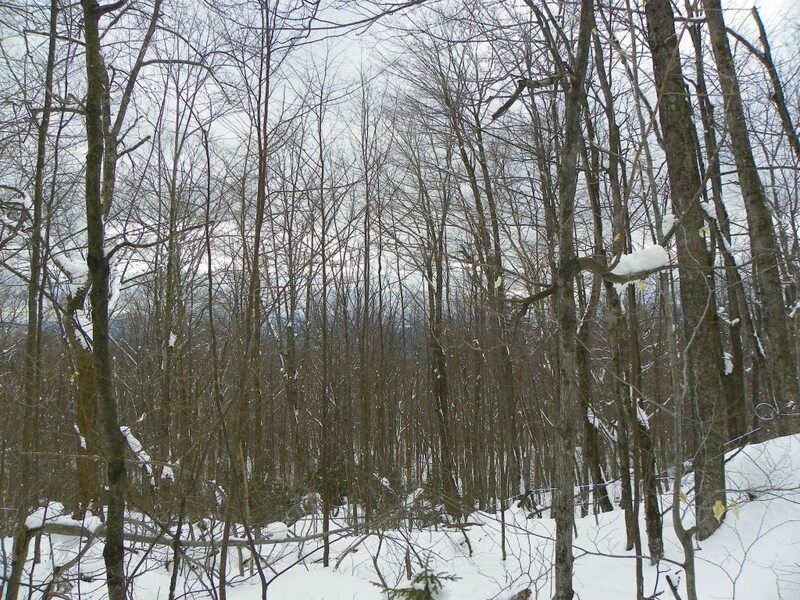 It may hold back the first big run, buying a couple more days to finish tapping the trees, but it makes for slow going near the rocky top of the hill where the maples are surrounded by thickets of beech. Opting against snow shoes this afternoon, I blundered and wallowed my way along the lines, sinking to my waist in spots and dancing along fallen trunks in others. At least my arms gyrated wildly and my legs churned madly, so if someone had asked how I wound up at the bottom of a four-foot snow hole I would have told them I was dancing. There was reason to dance a little at the warmest part of the day, just before the clouds came back in and the wind picked up. 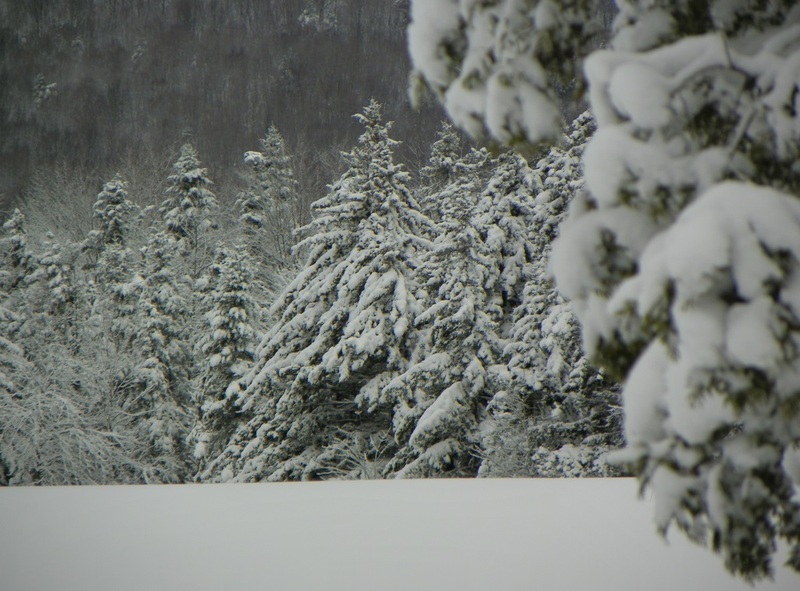 The hard icy crust of a week ago was gone, it felt like the whole forest relaxed in the mildness and even the sharp, pinging rap of taps going in went perceptibly softer. With the end of tapping in sight (Monday if all goes well) and the sugar house nearly ready, the first sap has begun to drip. Another nice day to live in Vermont. 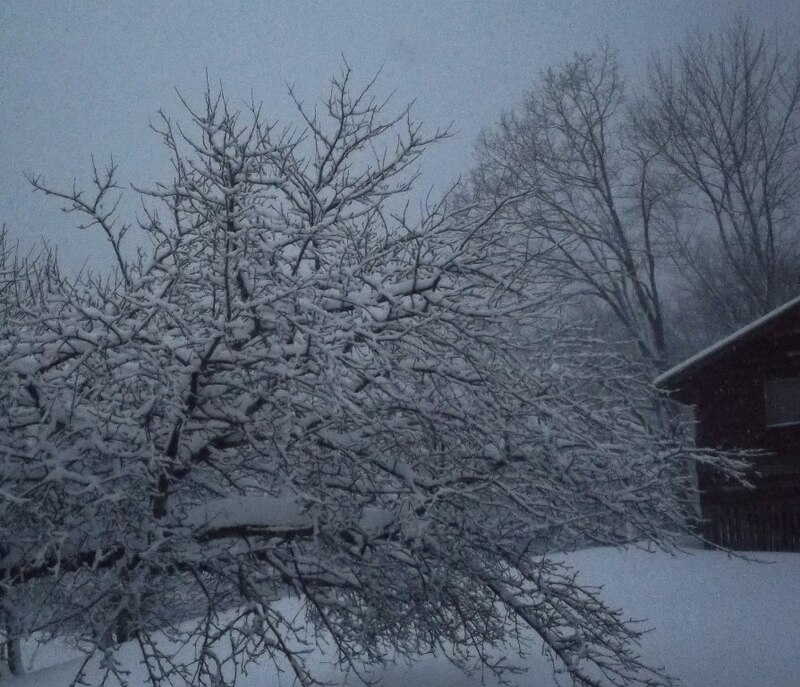 Certainly beautiful and stunning views of all the snow in your area. Thanks for sharing all you do to keep the home place ready. We finally got some snow in Northern Colorado that is going to stick around for awhile. It certainly was lovely to look at. Stunningly heavy, but lovely. Hadn’t had to rake a roof in a couple of seasons but I’d sure feel bad if everyone showed up for opening day and the camps had collapsed. It’s all about the anglers, even in winter. I’m glad Colorado is getting some snow and I hope the reservoirs fill up. I am always amazed at how much water the Front Range needs. As much as I like the look of snow, I’m glad we’re measuring what we get in inches, just a few inches, rather than in feet. I can’t remember the last time I had real maple syrup. Now you have me wondering again. May have to go do some local searching. This one was a bit of a surprise and there are times I’d settle for mere inches but it just wouldn’t be the same. Real maple syrup is complex and, no matter where it is from, it don’t taste like Log Cabin or Aunt Jemima. It is more expensive because it is so labor intensive but at least it’s not made from corn. I find it strange that although Colorado has a reputation for getting lots of snow and cold weather, we really don’t. Those pictures make me think that Vermont is a lot colder and snowier. Growing up on the Front Range, I remember the “real” snows didn’t come until at least March and the two biggest snows I remember were in May & June. Otherwise, it was brown and mild. The mountains, however, were a different story. I did a timber survey outside of Red Cliff one winter and got into the deepest snow I have ever seen. All in all, though, I have to give the edge to Vermont for doing winter right. 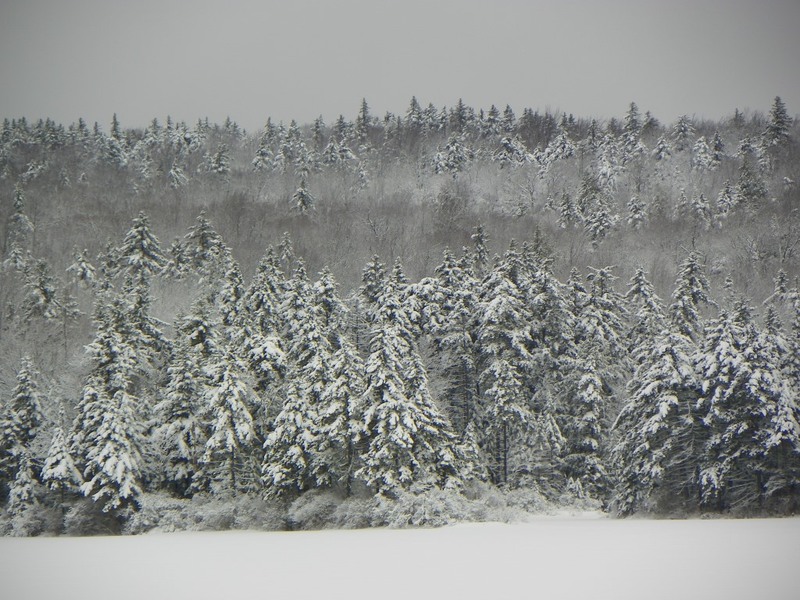 Great blog and great post about life in New England. A pleasure, as always, to read your stories my good friend. Cheers! Hello, You. I hope you’re avoiding those seedy joints you were patronizing in the past. What were they called? Oh, yeah. Golf courses! That dripping sound is very pleasant as long as it’s not from the roof above. Wednesday’s wet snow slid readily off the metal barn roof by late afternoon and, as you suggest, it means we’re getting close to the rapid change. Ah spring! My barn let go and trashed my nice, clear dooryard ten minutes after I parked the tractor. The streams are coming up, there’s color in the trees and the roads are falling apart so this winter is almost in the books. 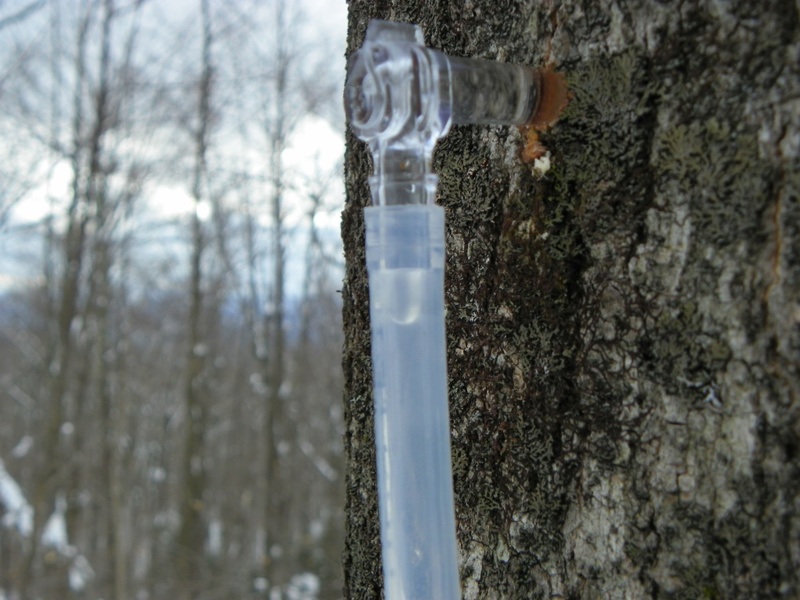 The sap is dripping well here in Maine- how many maples are you tapping? 2250 trees, 2500 taps. Last tree was tapped Monday. Decent run of sap yesterday but not enough to boil and now we have a couple of days with cold and snow so first boil will probably be Saturday or Sunday. I have got to get to Maine for a couple of days before my season opens! I would love to have that many taps some day- Good luck boiling and I hope you find time for that trip to Maine!